What a difficult decision this has been to make, in every aspect. In the end, Sasha Hunter from Aquascape and I met with six applicants personally, when we’d originally planned on meeting the top two or three. After that, it was up to the judges to make the decision based on our report back to them. To narrow the selection process, we decided on four final criteria. All this to say that we’ve learned a lot in this first year, clearly in thanks to your application. We now realize important components that affect the selection process that we had not originally been able to foresee. Now I will announce this year’s selection to receive a custom designed and installed Aquascape Pondless Waterfall Feature. Trinity Village Studios on Kingsway Drive in Kitchener. 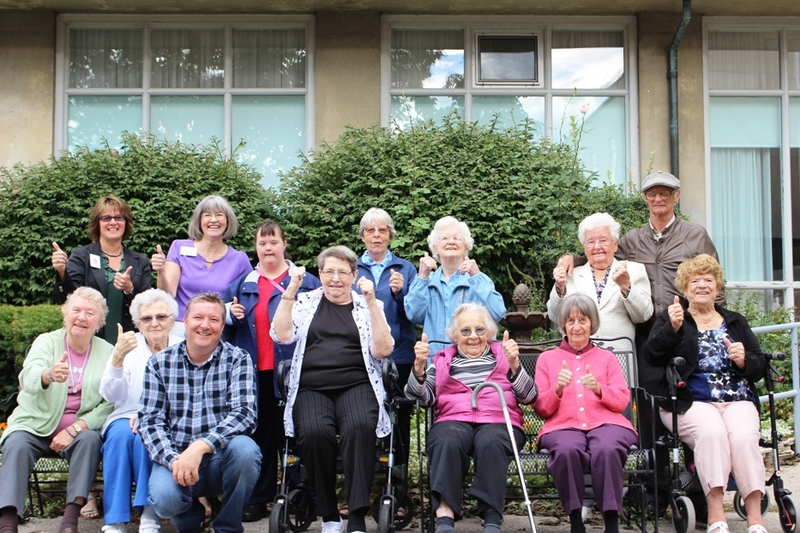 Trinity Village is home to more than 280 seniors living in independent life lease town homes, an assisted living retirement resident and a long term care centre. This includes seniors who require a subsidy through the Region’s domiciliary hostel program. Trinity Village also welcomes participants to its Adult Care Program three day each week. Their community outreach includes events such as an Annual Garage Sale, Fall Fair, Buskers Carnival, even an Electronic Recycling Event. Congratulations, and stay tuned for the build!